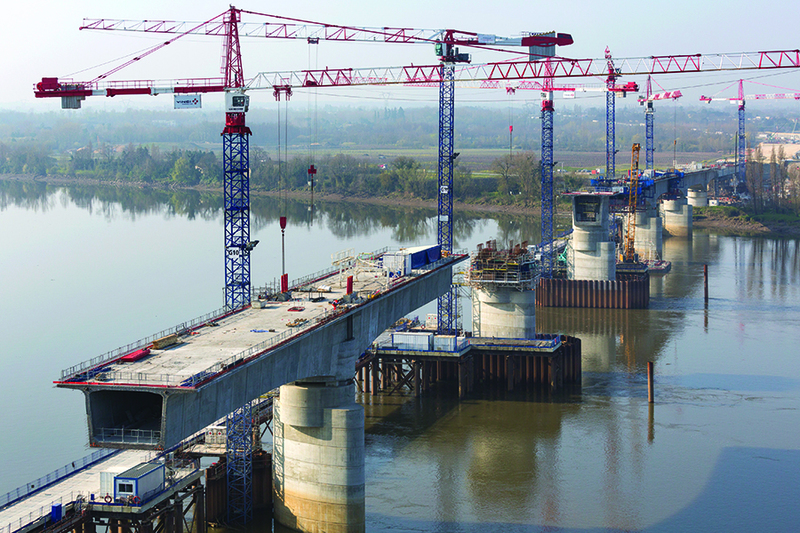 A Vinci-led consortium is in the final stages of constructing France’s new 302km Tours-Bordeaux high-speed link ahead of a 50 year concession to operate and maintain the line. Antony Oliver hears why this is the model for the future. 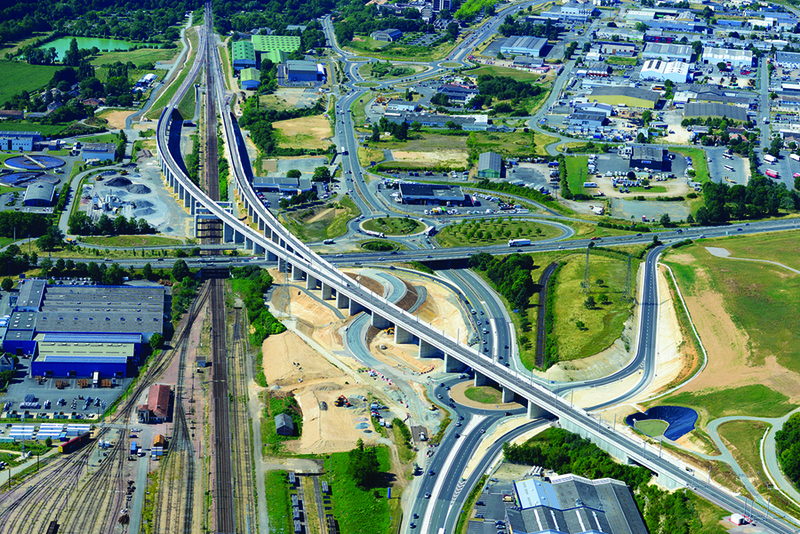 When the new 302km French high-speed link between Tours and Bordeaux opens in 2017, it will have been, by any modern European standard, a remarkably swift rail infrastructure delivery. After all, the Vinci-led consortium only submitted its first bid to finance, design, construct, operate and maintain the new rail link in 2009. At that point the scheme, while perhaps more than just a line on a map, still had a lot of hurdles to overcome. A Spring 2010 appointment of the consortium by client Réseau Ferré de France (RFF), saw the project step towards reality and when financing was finalised in the first half of 2011 to create LISEA, the special purpose company responsible for financing and managing the concession, the real green light came on. LISEA, made up of Vinci (33.4%), CDC Infrastructure (25.4%), SOJAS (22%) and AXA Private Equity (19.2%), then let the design-build contract for the project to COSEA, a consortium led by VINCI Construction with Eurovia, VINCI Energies, NGE, Fayat, Cofely-Ineo, Systra, Arcadis and Egis Rail to kick start the work. But as technical director for LISEA, Alexis de Pommerol points out, 84% of the land still had to be acquired after the concession was agreed and many other critical, time consuming and risky matters such as environmental licensing and utilities diversions along the route still had to be designed and carried out. Nevertheless, despite difficulties and delays at the start, the project, including around 40km of connecting lines to the existing rail network along the corridor, is now heading rapidly towards the all-important train service delivery phase. It is this effective risk management – which sits with the concession company not with the government owned RFF – and ability of the consortium to “manage its own destiny” which has kept the 7.8bn euro project on track. “We invested a lot in the bidding process on risk management and we structured the design and build process to be efficient during the construction process,” de Pommerol points out. Of course, as the UK presses forward with its 50bn euro, 550km High Speed 2 scheme, due to open completely in 2032, comparisons are easy to make and question marks raised over a perceived difference in approach to high speed rail by the French. But of course it is not that simple. And the critical advantage of the scheme is that it doesn’t have any underground sections or any stations to construct. 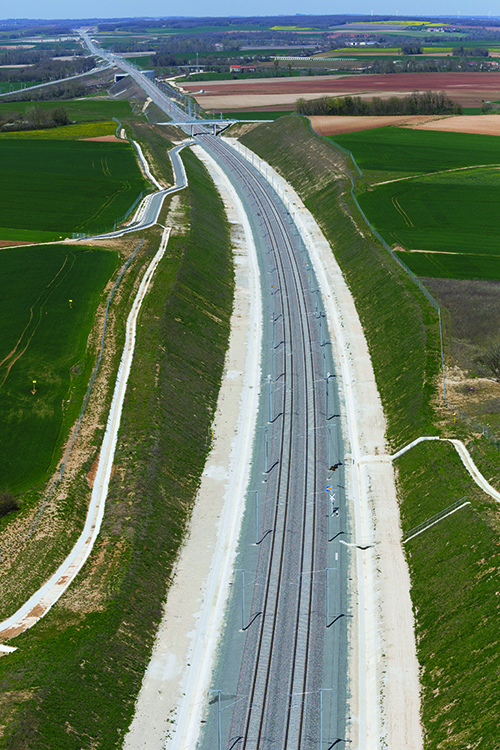 And with just ten interfaces with or connections into the existing rail network, explains de Pommerol, the project has been able to plough on largely unhindered by outside influences. “It was a very critical issue at the start of the project to manage those interfaces because these were the locations at which we were not alone to manage our own destiny,” he says. “We have no other issues other than finishing on time so we are able to organise ourselves in the right way according to capacity,” he adds. The new 320km/hr line will reduce the journey time between Paris and Bordeaux by approximately one hour by providing a new dedicated high speed track to bypass the cities of Chatellerault, Poitiers and Angoulême. New connecting lines will link to cities but other than these, construction is largely on a green field site. This freedom to be totally focused on getting the job built has been critical for construction joint venture company COSEA, says director Gilles Godard, highlighting that finishing late was never an option. “There are strong incentives for us to be on schedule – not least as the penalties we would pay for not opening on time are very high,” he explains. But this pressure on programme has also meant that COSEA, as designer and constructor, has had to be very flexible and collaborative so as to enable work to start on site before the design had been completely finalised. “High speed rail is a system and projects rely on really strong integration between each part of that system. If it is not properly managed then there is a problem,” he explains. It is a lesson that Gilles Godard feels could be learnt in the UK where he fears the relationship between contractors and consultants “needs to be rebalanced”. The final part of the jigsaw in terms of driving towards a positive outcome is the fact that the consortium has a robust internal no claims agreement across all parties, which means that if there are problems – and like any project they do have them – there is a mechanism for getting to a solution. Yet while meeting the construction objectives is critical, setting the project up to enable the line to be operated efficiently and profitably for the next 50 years is critical to the business plan. “We have had very early engagement with the maintenance teams – through planning design and construction – not only to help plan its work but it has been involved very early explaining its specific needs for access and for vehicles,” he says. The next challenge is running the railway at a profit and, with revenue coming from track access charges but with no guarantee on how many it’s a tough issue. But the key controllable factor for LISEA is providing a safe, fast, reliable track on which to run high speed trains and, for de Pommerol, that remains the route to success over the next 50 years.